As the years and decades go by, the works of Swedish Romani writer Katarina “Katitzi” Taikon still strike a chord with many across Europe. Taikon’s most famous work, the semi-autobiographical book series “Katitzi” tells the story of a young Romani girl growing up in 1940’s Sweden. Written primarily for children, the series, which was televised in 1979, was also a thought-provoking read for adults as it challenges the prejudices of educated people. As a 9-year old, lead character “Katitzi” returns to her Romani family from an orphanage where her innocence helps to give a stark portrayal of the prejudices faced by the Roma in Sweden at the time. This clip from the television series was taken from the first episode of Katitzi where her father comes to pick her up from the orphanage. Promoting inter-cultural understanding, the books awoke older readers to the realities of social and political shortcomings in Sweden and beyond. The books have since been translated and published in various other languages as the impact of Taikon’s work spread further and further. Born in the Swedish town of Orebro in 1932, Katarina received no formal education as a child but emerged as a talented actress, starring in her first film “Uppbrott” as a teenager in 1948. 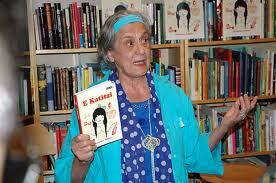 Katarina was an avid believer in equality for the Roma and fought for the cause not only in the field of literature. Intrepidly, she would approach newspapers, government, parliament and political parties to try and make the Roma voice heard. 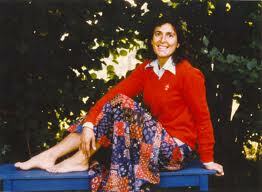 She also gave lectures at universities on the Roma in Sweden. Katarina was one of few to speak up for the Roma in Sweden despite their long history in the country. Today, the number of Roma living in Sweden is estimated at around 40,000-50,000 comprising of various different groups. The largest of these groups are Travellers who are believed to have lived in the country since the 14th century. Other groups include the Kale, originally from Finland, and around 5,000 Romani refugees from the Yugoslav Wars of the 1990s, mainly from Bosnia-Herzegovina. In 2006, the Swedish government introduced a special commission dealing with issues in the Romani minorities consisting of some experts from different Romani groups. The delegation was tasked with submitting proposals to improve living conditions of the Roma, with specific attention being paid to children. However, four years later the Swedish authorities were heavily criticized after 50 Roma EU citizens were abruptly deported. Commissioner for Human Rights at the Council of Europe, Thomas Hammarberg, who is a Swede, stated that his fellow countrymen were complicit in the Roma’s ongoing discrimination. Rosa spoke powerfully about her experiences as a Roma in the twentieth century and was especially critical of Roma access to education. In 1982, Katarina suffered a heart attack and fell into a coma from which she would never wake up. She died in 1995 at the age of 63 in Sweden but her insights into a Romani upbringing in Sweden still resonate with Roma of all ages across Europe. I tried to look up Katerina Katitzi Taikon on Amazon and unfortunately could not find her there. I am a firm believer in overturning prejudice through art. I myself have written a novel for that very purpose. Many of the people who have read come to me and want to know more about who the Roma really are, the people behind the killer prejudice. 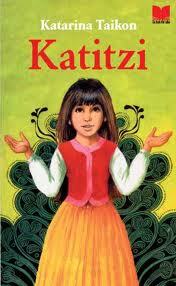 Where can I get a copy of Katitzi? The more people who read it, especially children where prejudice begins, the more effective it will be. I found this but it’s in French…. http://www.reboundbooks.com/products/katitzi-dans-le-nid-de-viperes They do some to be like buried treasure but we’ll keep looking and let you know if we have any more leads. Otherwise, yes. Art (and sport) can break down barriers between communities and will always be an important weapon against racism. In the file Romani_sanak’ja_ikIo_Katici.pdf on http://edisk.ukr.net/?do=dir#cdir=0 you will find a bibliography of Katarina Taikon.